Let me tell you a story...a tale of a voyage through time, space, and the publishing industry. 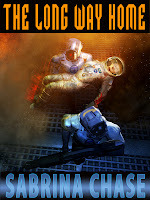 My name is Sabrina Chase, and I write adventurous science fiction and fantasy. Although I never had a book published in the legacy system I consider myself a demi-hemi-quasi-hybrid author anyway, since I was offered a contract with a major publisher for The Long Way Home. I turned it down even though I was desperate to be published, that’s how bad it was. That was in 2006. I started indie publishing in November of 2011, inspired by our Fearless Host Joe and others, and in that time The Long Way Home has earned me more than the 5k advance the publisher offered (plus I didn’t have to share 15% with my agent). It’s still selling well. I got exactly the cover I wanted (thanks to my long-suffering artist Les Petersen), and I hired a professional editor who also works for legacy publishers. And it started selling the day it went live. This was not due to a Cunning Plan on my part, or massive publicity, or melting down Twitter with buy-my-book noise. I was in cheerful “let’s see what THIS button does!” mode, and just had fun with it. Every copy I sold was a victory. And when I realized my book sales were paying my mortgage, it was like winning the lottery. Every MONTH. · I was experimenting, but I also did the best job I knew how at the time. 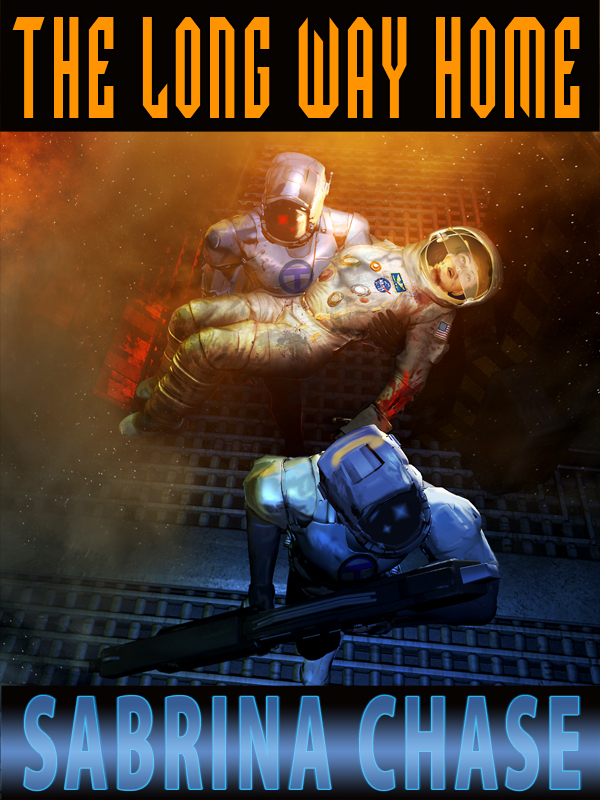 Professional editing, and because science fiction readers expect original covers, quality art. Since I write software for a living, formatting clean HTML for ebooks was trivial. And I tested my ebooks on actual devices. · I started at the right time. I didn’t have much competition then on Amazon in the SF and fantasy categories, so it was easy to stand out enough for people to give my books a try. Then they would get HOOKED, bwahahahah. · I priced my books at MY easy-purchase comfort level. I’m still trying new things, too. I did an audio version of Firehearted, and all my books are available in print. A group of author friends that write in a similar vein have gotten together and organized what we are calling a “Garage Sale,” where we all set at least one book at $1.99 or lower for a week (starting today!) and cross-promoting on our respective websites (mine is here). 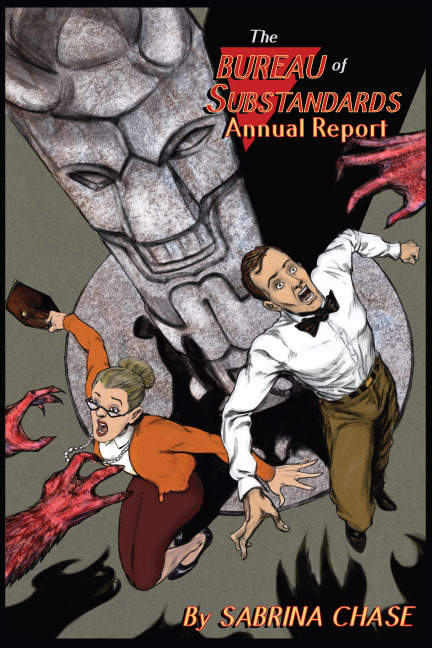 My latest work, a collection of short stories titled The Bureau of Substandards Annual Report, (art by Chris Stewart) is in a genre I can’t even classify. Paranormal bureaucracy? Adventure nerd? Bureau-punk? Rampant silliness? You tell me. In the end, I’m glad I missed that legacy publishing boat. Sure, I missed a cruise everyone said would be historic, but I also missed out on the midnight ice bath. And all the time I spent waiting for a “real” book contract I used to write MORE books, so I had a nice trunk collection ready to go when I decided to indie publish. I have seven books out now, and more on the way. I’d like to emphasize something Joe keeps saying over and over again. My success happened without an established fan base--nobody had ever heard of me before I indie published that first book. This guest post is my first conventional promotion effort. That’s not to say I didn’t have a lot of help. The indie community has a well-deserved reputation for being generous with advice and encouragement, and it makes me very happy that I am now in a position to help others start their indie publishing voyage. Joe sez: One of the most common complaints from authors who resist self-publishing is: "I don't want to do all the promotion on my own, that's why I'm holding out for a legacy deal." That is a wrong assumption on two fronts. First, because you'll do just as much self-promoting your legacy book as you would your self-pubbed book. Second, because it isn't necessary to promote ebooks. Amazon and its competition make it very easy for readers to find the type of books they want to read, and in most cases those readers don't know the author's name until the stumble across the book. While it is necessary to be visible (on the genre bestseller lists, on Customers Also Bought), it requires minimal time and money (occasional Facebook and Twitter updates for sales and new releases, a newsletter, and various ad sites like BookBub, Book Blast, etc.) to get your book in front of browsers' eyes. Sabrina said she didn't do any sort of promo, and somehow readers discovered her. Though the meme won't die that my popularity is because legacy publishers made me a "name", the truth is that the vast majority of people reading my books are discovering me for the first time. They stumbled across my work while surfing on their Kindles, or on Amazon.com, and then go on to buy more of my books because they liked what they read. I'm not selling well because people know who I am. I'm selling for the reasons Sabrina states: good books, good covers, low prices, lots of titles. I don't do a lot of promotion, other than the occasional sale or free period, because I don't need to. So why are many indie authors selling poorly? A bad cover. I've seen many indie authors who love their covers when they shouldn't. A bad book. Sorry to be the bearer of bad news, but maybe the reason you aren't selling well is because people downloaded the sample chapter and hated it. 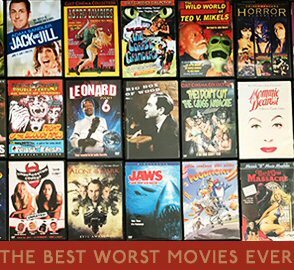 The wrong category. If you aren't careful with your keywords and bisec, your potential fans might not ever find you. A small niche. Sometimes your genre may not be what people want to read. Not enough books. I have 60 titles available. Obviously I have more visibility than someone with 2 titles. No experimenting. If you're failing, try something else. Now maybe you've written a great book with a great description and a great cover and it still is only selling 1 copy a month. But how can you be sure it's a great book and great cover? The only way to be truly know is to get the opinions of strangers and/or professionals. Self-publishing has made it easier than ever to reach readers. That's a blessing for good writers. For so-so writers, it's a curse. Because a so-so book gets so-so reviews which leads to it selling fewer and fewer copies. Just because you can self-publish doesn't mean you should. I was lucky that my first novel never sold, because it wasn't very good. And knowing me, if Kindle had been around in 1992, I would have self-pubbed it to lackluster reviews and poor sales. It wasn't until my fifth book that I started getting good. If you are convinced the writing is good and the cover is good, then you just have to keep experimenting with new work and new ways to get visible until luck finds you. But before you blame the universe, or the competition, get the opinions of strangers and other writers. Join a writing group. Trade manuscripts with a peer and edit each other. Post three possible covers on Facebook and let the majority decide which is best. Rewrite your product description, and play with sale prices and freebies. And, of course, keep writing.